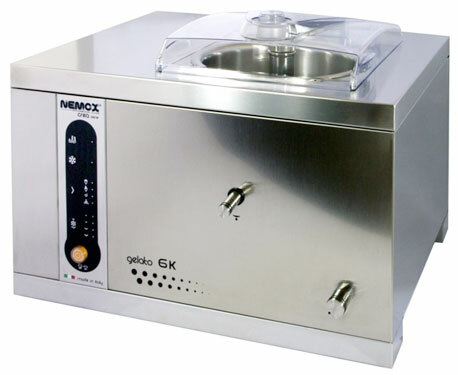 NEMOX GELATO PRO 6K CREA IS A PROFESSIONAL GELATO, ICE CREAM & SORBET MAKER. It is the most compact fully automatic table-top unit. Made in Italy. 120V/60Hz/1 Phase - 800W, AUTOMATIC program and storage, Air cooling.Electronic Speed Control, Inverter. Gravity drain. Gas R404. S/S case and paddle. Optional removable bowl. These automatic programs, as well as ensuring the best results, make the machine completely autonomous, leaving the operator free to focus on other tasks. 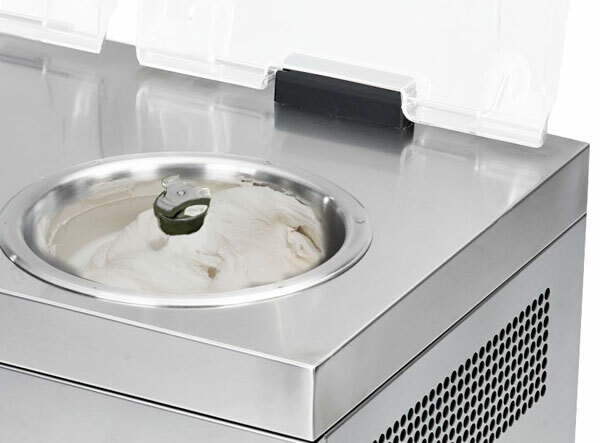  The compact size allows you to place PRO 6K CREA in every professional kitchen.  Easy cleaning through the drain valve.  Blade is stainless steel AISI 304 with adjustable scrapers. The professional ice cream machine Gelato Pro 6K CREAships by truck on a pallet. The shipping cost will be added to the order amount upon determination.